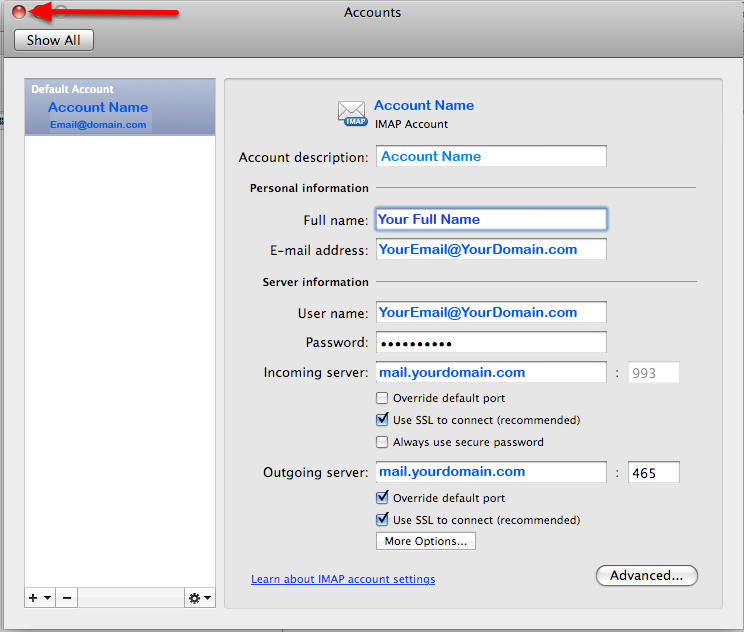 This page explains how to set up the Microsoft Outlook 2011 e-mail program on Mac OS X for an IMAP mailbox that you've created. 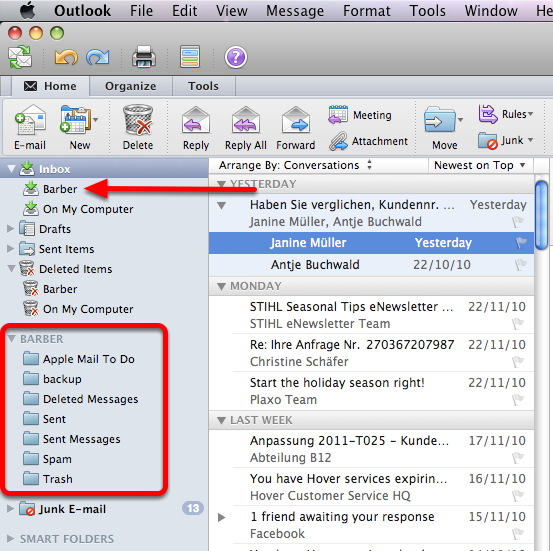 Before you continue, you should enter your e-mail address (the address you want to set up in Outlook) in the box above. Entering your e-mail address makes sure that the instructions below are correct. 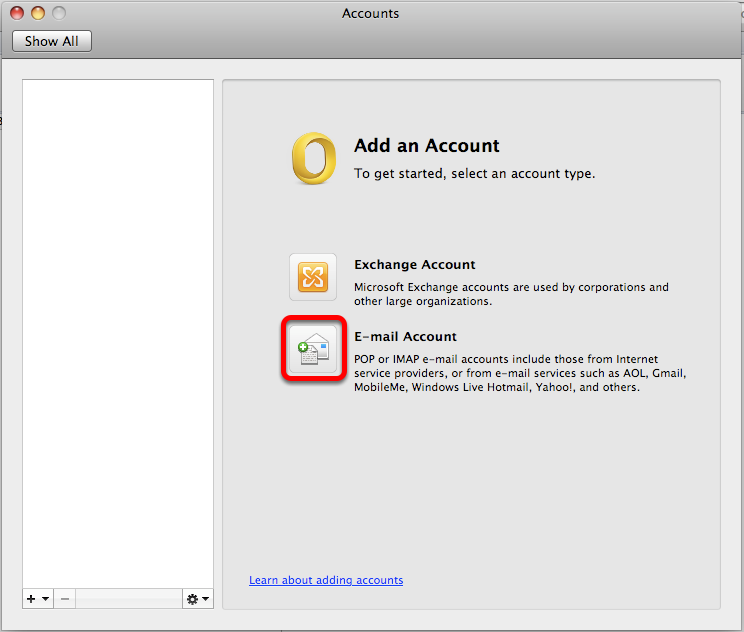 To set up Outlook 2011, make sure the Outlook program is running, then follow the instructions below. Click the "Tools" menu and choose "Accounts". 2. The "Account" window appears. Click the "+" button and choose "E-mail". If setting up as POP3 (recommended), Under "Outgoing server", check Override default port then change the port number from "25" to "587". 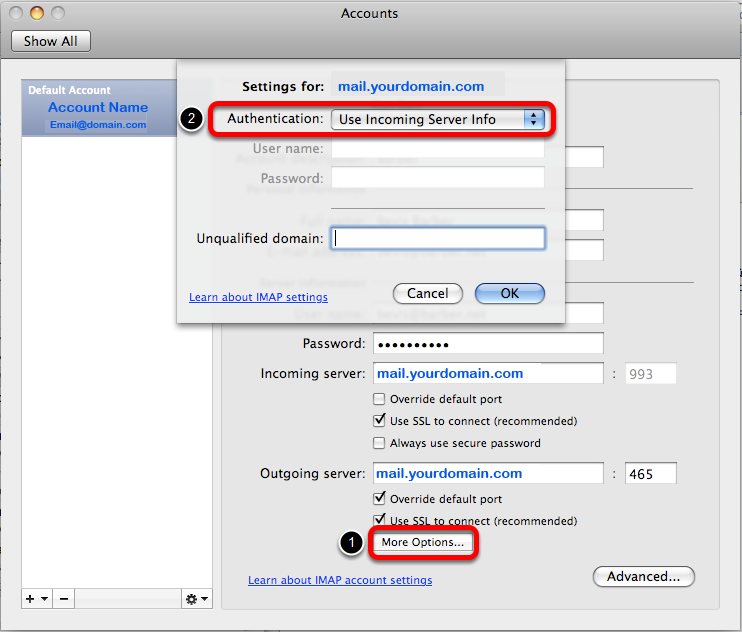 If setting up as IMAP, Under "Outgoing server", check Override default port then change the port number from "25" to "465". 4. Click on the More Options button. 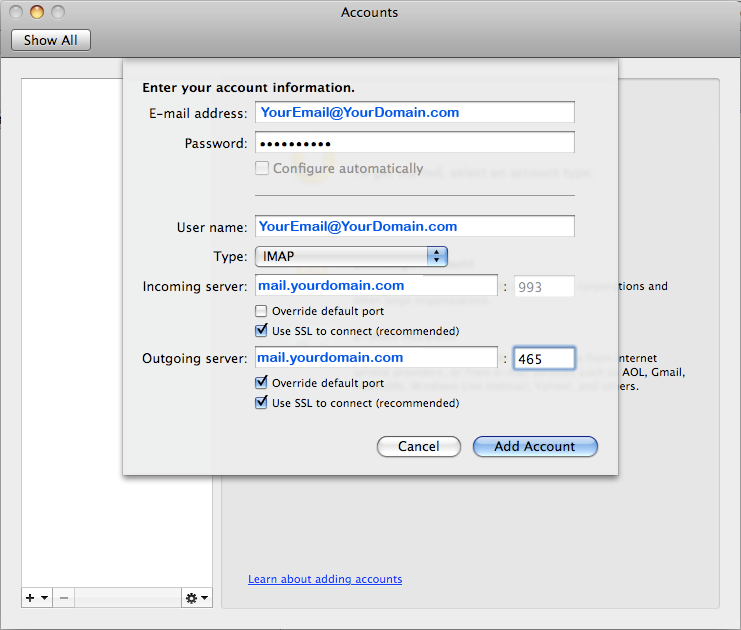 In the Pop-Up Window: Select "Use Incoming Server Info" from the authentication list and then click OK.
5. Your settings window should now look something like this, and you can now CLOSE the Accounts Window. 6. Outlook will automatically download your email messages. 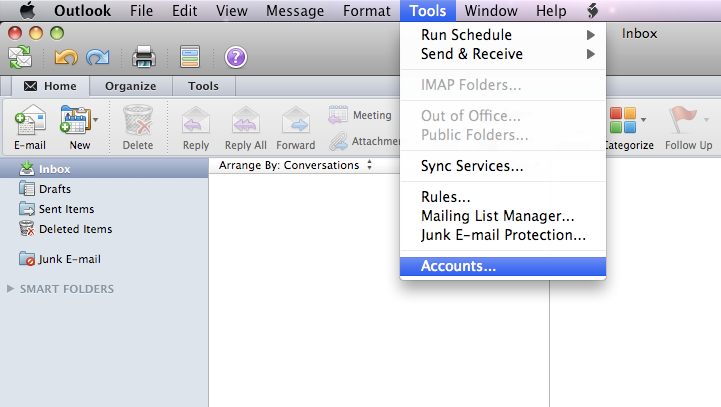 If you have set it up as IMAP, any MAP folders you have set up on the server will also appear below the default OUTLOOK folders. The account configuration is completed! You're finished! Try sending yourself a test e-mail message to make sure it works.